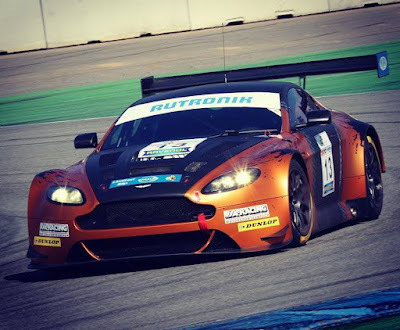 This weekend saw the latest list of European race series open their 2019 accounts with their opening race weekends of the season down in Italy, Germany and France with the Aston Martin Racing contingent coming away with a fair share of silverware to boot. 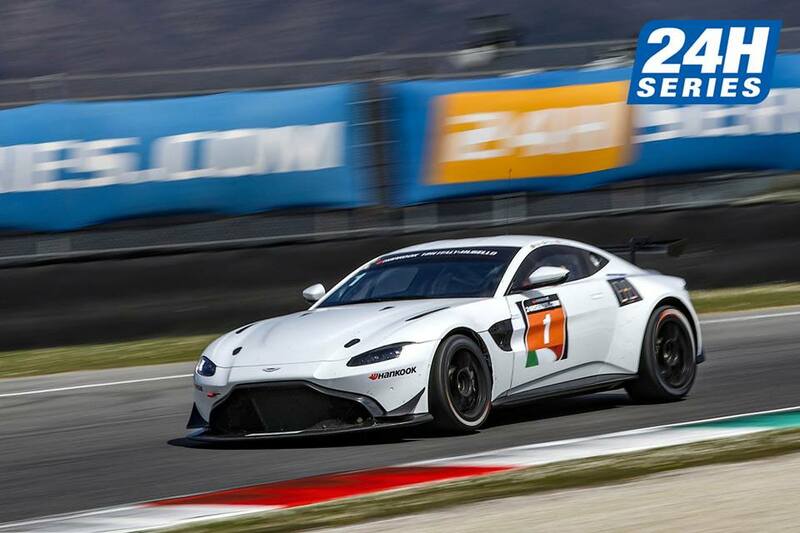 Starting with the latest edition the ever expanding AMR customer family was with German based Prosport Performance team entering one of their (literally) brand new AMR Vantage GT4's into the opening round of the Creventic 24H Series European GT Championship down in Mugello, Italy. Not previously indicated as a series to be contested, the original driver line up of SRO GT4 Balance of Performance driver Nico Verdonk and gentleman driver Rodrigue Gillion was further expanding to include that of Akhil Rabindra - one of the teams latest recruits and AMR Driver Academy drivers who is due to compete with the team in the GT4 European Series. 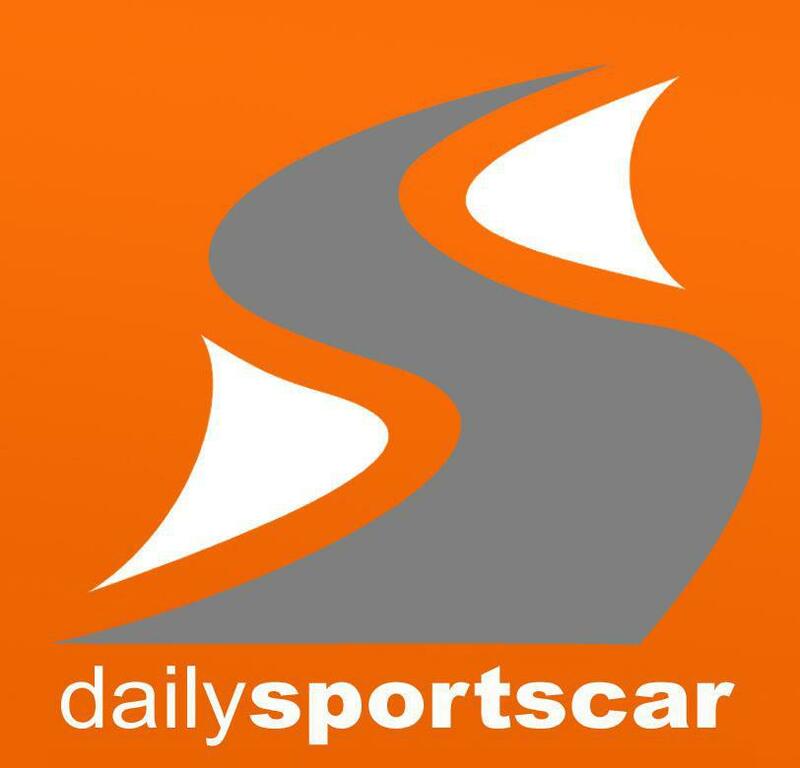 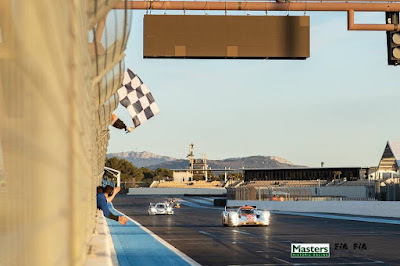 Qualifying in P2 for the split format 12 hour race over both Friday evening and Saturday all seemed to be progressing well for the team before the #1 car ground to an unexpected halt mid lap in the final half hour of Fridays stage of the race. Having the fortune to be able to work upon the car overnight (with a penalty applied as a result) Saturdays majority segment of the race ran without incident (for them) and with them benefiting from a little bit of luck to be able to claim P2 in the GT4 class at the end. 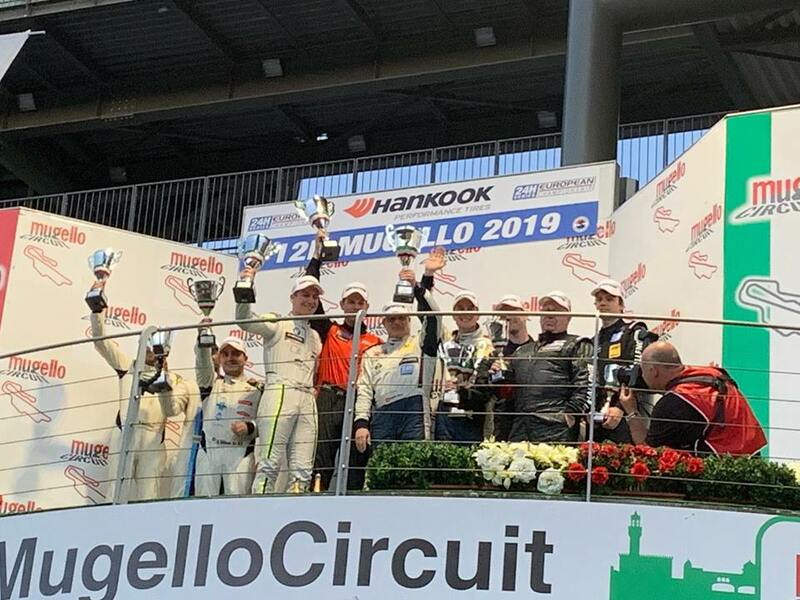 That podium was the first for the new 2019 generation of GT4 race car to come out of the Prodrive facility in only its third race globally! 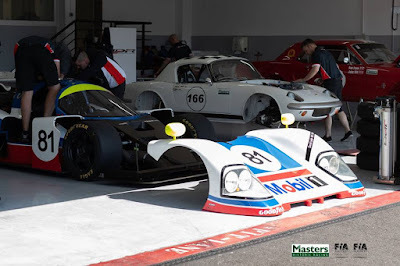 Over at the Paul Ricard Circuit in southern France saw the opening rounds of the new Aston Martin sponsored and supported Masters Historic Legends Series which featured two - forty minute races for the sixteen strong grid. 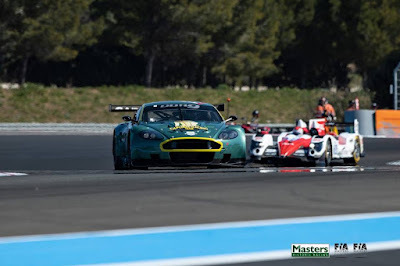 Featuring Aston Martin cars as old as the AMR-1 through to the 'latest' being the Vantage GT2, Ricard proved to be very successful for the AMR runners with Belgium historic racer Christophe D'Ansembourg taking first P2 in Race one before taking the higher step on the podium in Race 2. In the GT classes, early pace from Nikolaus Ditting's DBR9 and Paul Whight's GT2 proved for a great race in race 1 before issues inside the #18 GT2 car after the pitstops allowed Ditting to take the class win in his #80 car a feat that he went on to repeat in race 2 with the #18 Vantage GT2 not starting the race. 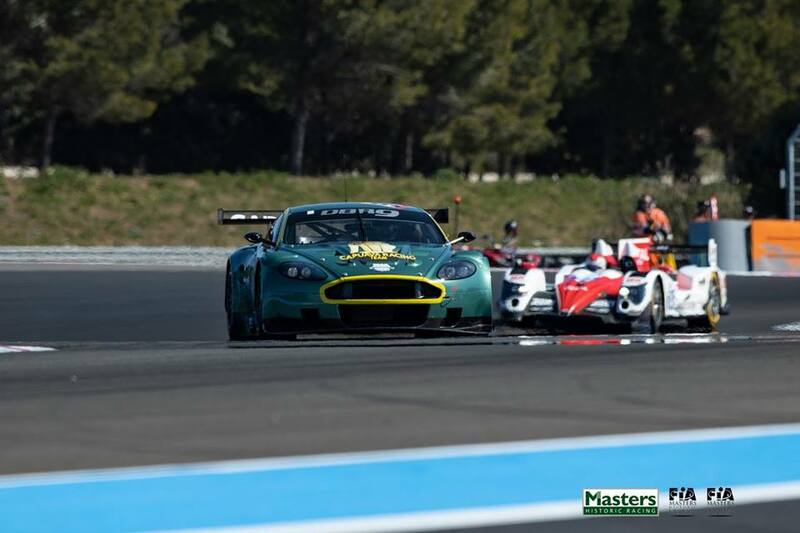 The eldest car of the AM fleet - the AMR-1 of Nicholas Minassian finished in P12 in race 1 but was unfortunately not seen again for race 2. Finally and over at the the Hockenheim circuit in Germany saw the opening meeting of the German DMV GTC Series - a competitive home by the looks for the previous retire GT cars. Within the grid of twenty or so GT cars was the Aston Martin Racing V12 Vantage GT3 of Timo Scheibner who would race in not only the opening two races of the DMV GTC Series but also the Dunlop 60 - a sixty minute race that was held immediately after Qualifying for the GTC races on Friday. 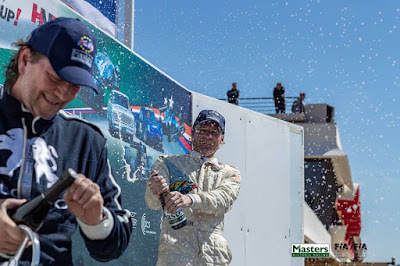 Although podium positions eluded Scheibner over the weekend he was certainly consistent with three P4 finishes in both the earlier Dunlop 60 race on Friday and both GTC races on Saturday behind three (very slightly faster Audi R8's).